The Plough01277 352026work Restaurant - PubThe Plough Bar and Restaurant is a recognised "oasis" for quality food, drinks and service at a reasonable price. We are a bastion of good eating and drinking, locally and informally. We want The Plough Bar & Restaurant to be a central part of the local community, where you can have fun, enjoy particularly good food, wine and your precious hours of relaxation. We are committed to delivering a combination of quality food, drinks and service, with a smile, at a reasonable price, to members of our local community, and beyond. 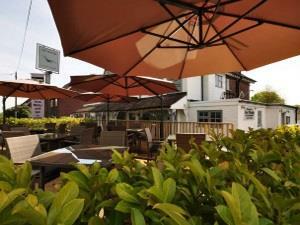 The Plough Bar and Restaurant is a recognised "oasis" for quality food, drinks and service at a reasonable price.